National Poetry Month in April recognizes the work of all poets. Similarly, student poets celebrate National Poetry Month by sharing some of their best work. Some students have a love for poetry, and share their poetry through various forms such as spoken word and slam poetry which can be preferred by the younger generations. Nathan Amaru Velasquez, a senior in the Business & Innovation small school has written poetry since he was 8-years-old. Velasquez started writing poetry in third grade as an outlet for his feelings. “It was a personal outlet, for family problems,” he said. Velasquez was inspired to write poetry by Tupac. He loves to write poetry in the ABAB format and prefers social commentary. As he loves to create poetry, he recently shared his poetry in public at the senior talent show. “I was scared to show how I felt,” Velasquez said. Velasquez was not aware that April was poetry month. “I didn’t know; I just do poetry for myself, and, just recently, I shared it with an audience,” he said. He is not the only poet in his family as he found out his mom wrote poetry in college. 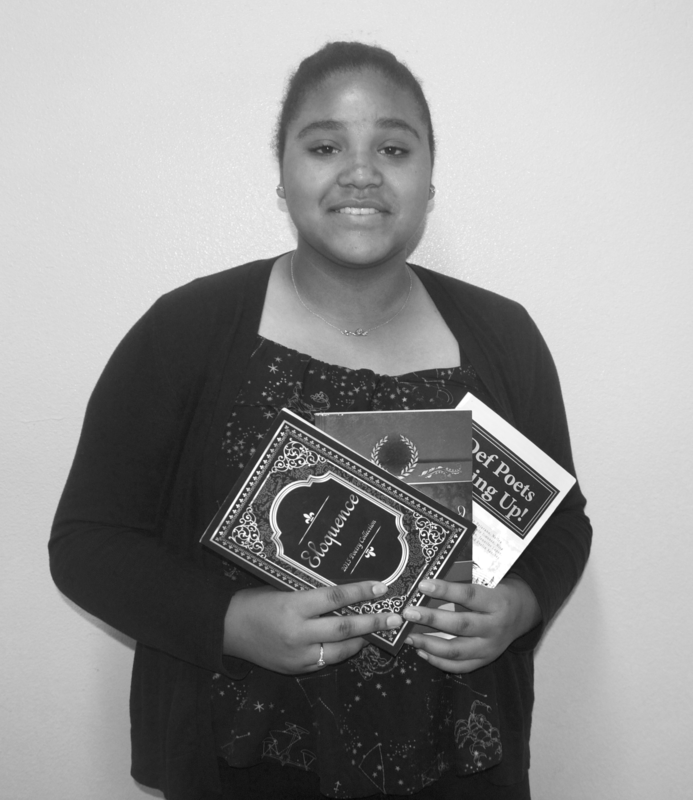 Nisa Jones, a sophomore in Business and Innovation small school, started writing poetry at the age of 10. With inspiration from Edgar Allan Poe, her favorite poet, Jones likes to use enlightening messages in most of her poetry. She has performed twice in talent shows and is published. Jones feels proud of being able to get published. “I take a lot of pride in it [getting published] because my parents have done a lot for me,” Jones said. Her best work is a poem which she has not yet shared, because it is very personal. “My best work is called ‘The girl who never smiles, the first time I read my poem it made me cry,” she said. Jones loves the month of April because it is National Poetry Month and poetry is a hobby for her. A hobby that brings her joy. “I feel how you write is more from the heart,” Jones said. The month of April is a celebration of all forms of poetry. In the 1960s spoken word poetry arose in popularity because of “The Last Poets.” “The Last Poets” were a poetry and political music group that rose to fame from the African American civil rights movement. The Academy of American Poets was inspired by Women’s History Month and Black History Month, to raise awareness and appreciation for poetry in the United States.